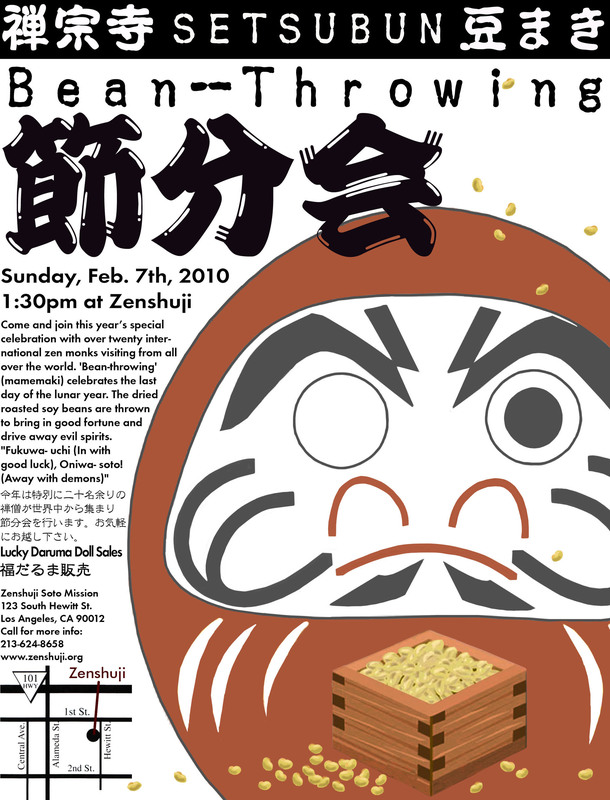 Feb. 7— Zenshuji Soto Mission, 123 S. Hewitt St., Little Tokyo, hosts its annual Setsubun (bean throwing) at 1:30 p.m. This service is related to the last day of the year in the old lunar calendar, usually falling around Feb. 2 or 3 of the present c alendar. At the temple we will have the festive ceremony of ‘bean throwing’ (mamemaki) on the 7th of February this year. 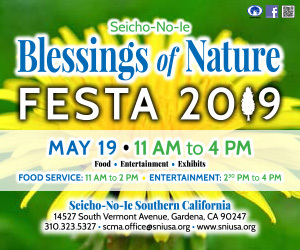 the thrown beans which are said to bring good fortune.